‘Currently total autistic people in Bangladesh is close to 50,000. And we should not leave any of them behind. This is the overarching principle of the Global Goals of Sustainable Development that Bangladesh has committed to achieving by 2030. Whether autistic or not, disabled or abled, boy or a girl, quality education, is a right for everyone, UNFPA Representative Torkelsson said. 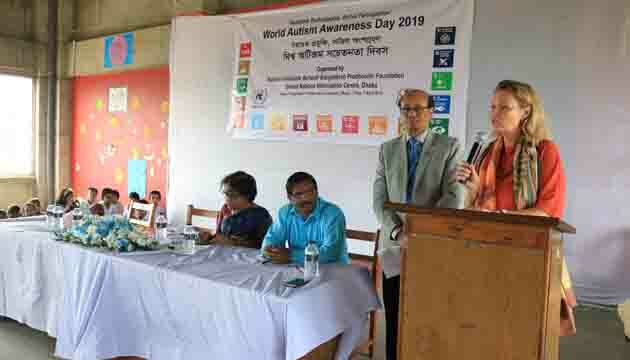 With the theme of “Assistive Technologies, Active Participation” the World Autism Awareness Day was celebrated on 3rd April 2019 at Bangladesh Protobondhi Foundation (BPF) auditorium. 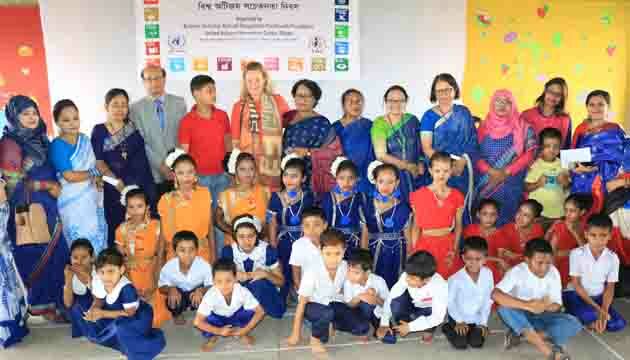 UNFPA Representative in Bangladesh Dr. Asa Torkelsson inaugurated the child art display and spoke as chief guest in the programme. BPF Exicutive Director Dr. Shamim Ferdous and Mohammad Jahangir Hossain, Headmaster of Kalyani Inclusive School spoke on the occasion. 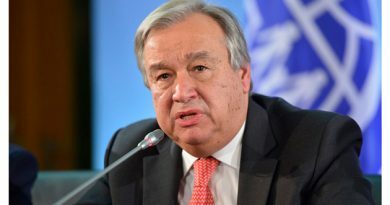 UNIC National Information Officer readout the UNSG’s message on that Day. A dance and musical programme were performed by inclusive children. Parents of autistic and non-autistic children took part the programme. 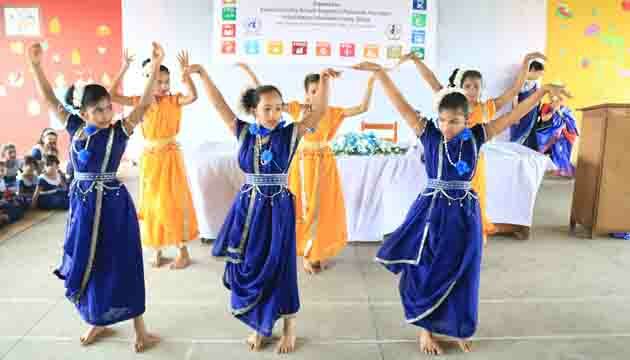 The programme was jointly organized by UN Bangladesh and BPF with the support of UNIC Dhaka and UNFPA Bangladesh. 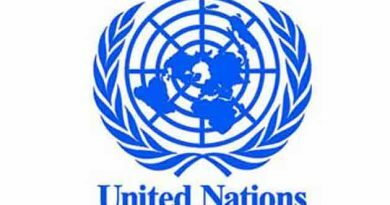 The United Nations stands ready to work with the new government of Bangladesh and other national stakeholders. 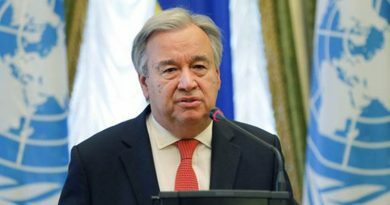 UN Secretary-General Antonio Guterres, urges member states to pay their mandatory contributions on time and in full.